National, 29th January 2019: Get ready to experience the exhilarating adventures of Emmet Brickowski and his friends in THE LEGO® MOVIE 2™, releasing worldwide on February 08, 2019 in association with the Warner Animation Group. 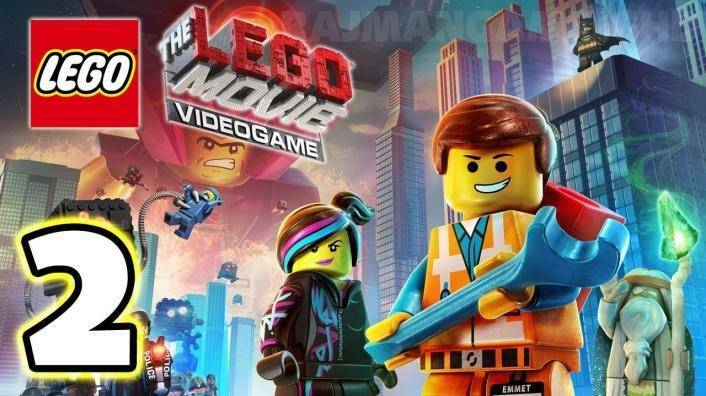 A direct sequel to The Lego Movie (2014), the movie is the fourth in the franchise (which also includes The Lego Batman Movie and The Lego Ninjago Movie, released in 2017). Inspired by the film, The LEGO® Group is delighted to bring to India, an array of engagement activities and its latest movie themed product range, taking LEGO® lovers across age groups on an epic building journey! Set five years after the first movie, THE LEGO® MOVIE 2™ sequel will provide fans, a glimpse of life in Bricksburg and follow the journey of Emmet and Lucy as they battle Duplo invaders who have turned Bricksburg into a post-apocalyptic wasteland as well as fight against Queen Watevra Wa-Nabi from taking over Bricksburg and the Universe. The saga of the movie will continue with the launched product range through which fans will continue to live the journey of the movie. One of the most coveted products from the collection is THE LEGO® MOVIE 2™ MOVIE MAKER which recently won the “Toy Fair- Hero Toys of 2019” at the UK Toy Fair 2019. The launched product portfolio will also include LEGO® Queen Watevra Wa'Nabi and LEGO® Sweet Mayhem's Systar Starship, among many others. The movie is directed by Mike Mitchell along with Phil Lord and Christopher Miller (writers and directors of the first film) and brings back the acclaimed ensemble cast comprising of Chris Pratt, Will Arnett, Elizabeth Banks, Charlie Day, Alison Brie, Nick Offerman, and Will Ferrell. The case also has new editions like Tiffany Haddish, Stephanie Beatriz and Maya Rudolph. The movie currently stands at 92% on the global Rotten Tomatoes index. The new range of LEGO® assortment is first of its kind in the brand’s history and will cater to all genders across age groups. One of the most unique features of the new collection is the multi-play opportunities that it provides. LEGO® lovers can create multiple versions of Queen Watevra Wa-Nabi and other sets from the range thus engaging in multiple passion points with the brand. Some of the other new products from the movie launching in India include: LEGO® Rex's Rex-treme Offroader, LEGO® Battle-Ready Batman™ and MetalBeard, LEGO® Ultrakatty & Warrior Lucy, LEGO® Unikitty's Sweetest Friends EVER, LEGO® Emmet's Thricycle, LEGO® Emmet and Lucy's Escape Buggy, LEGO® Sweet Mayhem's Systar Starship, LEGO® Emmet's Dream House/Rescue Rocket and LEGO® Emmet's Builder Box. As part of the engagement activities which are aimed to further amplify the buzz around the movie, select Hamleys stores across key cities in India will host the Brick Dance Challenge to engage fans and drive conversation ahead of the movie release. To add to the excitement, these outlets will also organize competitions for fans to prove their mettle as the fastest “Awesome Together” LEGO® builder®. In addition to this, keeping in line with the movie’s “Awesomer Together” motto, select retail outlets will provide the opportunity for fans to win complementary THE LEGO® MOVIE 2™ passes on their purchase above INR 3000. The offer will also be available in select Landmark & ToysRUs stores in Mumbai, Bangalore and Pune as well as on Amazon. “These activities are planned in accordance with LEGO®’s commitment of growth in the Indian market. Our Christmas Carnival in Mumbai last December was one of the foundation stones to build a stronger relationship with the community and we are focused to making our association with the fans much stronger in the future through our diversified product portfolio. ,” added Mr. Mathur. Through this holistic experience of THE LEGO® MOVIE 2™, the brand hopes to bring out the child in every adult fan and imbibe the joys of childhood in young fans. The saga of the first movie will continue with more adventures and through the exclusive products the journey will prevail with the fans.